Karlsruhe Palace, also called Karlsruhe Schloss in German, was erected in 1715 by Margrave Charles III William of Baden-Durlach, after a dispute with the citizen of his previous capital Durlach. The city of Karlsruhe has since grown around it. Much of the city center, including the palace, was reduced to rubble by Allied bombing during World War II but was quickly rebuilt after the war. Sent from a US postcrossing member, this postcard shows the Matsumoto Castle located in the city of Matsumoto in the Nagano Prefecture. Matsumoto Castle is one of the Japan's premier historic castles. It is also known as the Crow Castle (烏城) because of its black exterior. The keep was completed in the late sixteenth century, and it maintained its original wooden exteriors and external stonework. It is listed as a National Treasure of Japan. Looking at this peaceful and beautiful castle and the cherry blossom, it made a huge contrast to what I've been feeling for the past week..which was sadness and anxiety...It was a tough week...and I shred many tears...It was difficult to decide what I am going to do in the near future as my university graduation is coming up..I will have to leave the country along with my precious friends and the man that I've fallen in love with for the last two years...I don't know what our decisions will lead us to..but I really hope that one day we won't have to separate from each other ever again. 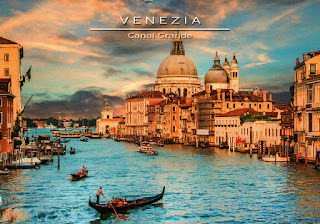 The Grand Canal is a canal in Venice, Italy. It forms one of the major water-traffic corridors in the city. 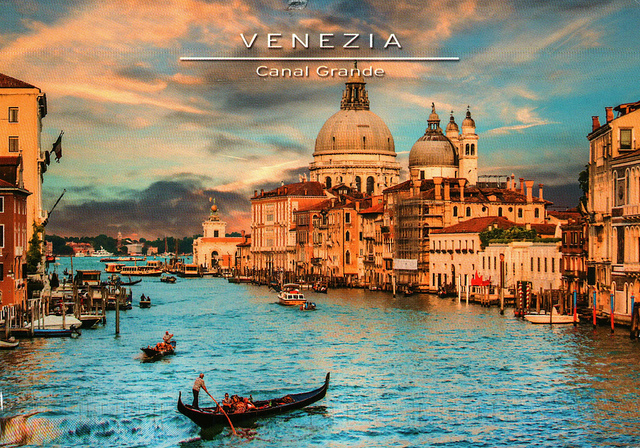 While public transport is provided by the water buses (also called vaporetto), many tourists explore the canal by gondola. 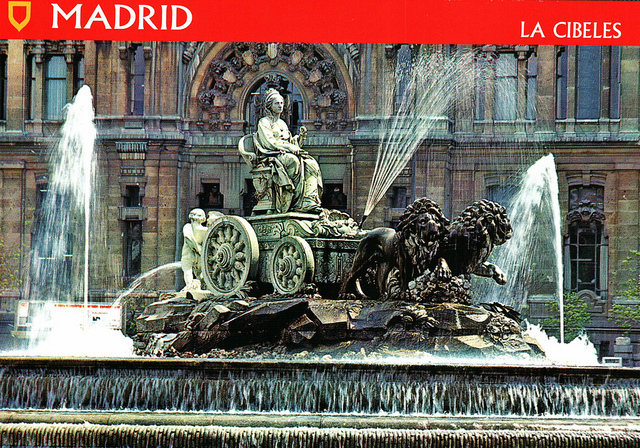 The Cibeles Fountain is found in the part of Madrid commonly called the Paseo de Recoletos. This fountain is named after Cybele, a Phrygian goddess who had a significant cult in Rome, and is seen as one of Madrid's most important symbol. The fountain depicts the goddess sitting on a chariot pulled by two lions. Tallinn is the capital and largest city of Estonia. It has a population of roughly 440 thousand. Situated on the northern coast of the counry, Tallinn's old town is listed as a UNESCO WHS and ranked among the top 10 digital cities in the world. Fun Fact: Skype is one of the best-known of several Estonian start-ups originating from Tallinn. Sent from South Korea, this card has a rabbit character saying that it is bored. Recently, I've been feeling bored at home while nothing to do. Although I do update this blog and write new postcards daily, I would like to find a new activity for me to kill time and enjoy time. What do you all do during your free time? Any suggestions? Kiawah is a sea island on the Atlantic coast located southwest of Charleston in South Carolina. It is operated today largely as a gated beach and golf resort. This is a watercolor painting postcard with the Shanghai city view. This one I received was sent from a Chinese Postcrossing Member. Also, one interesting thing about the information on the card is that a kind of ice cream was invented in China about 200 BC when a milk and rice mixture was frozen by packing it into snow. It just fascinates me that there was already ice cream that early in history. What do you think about this card and the ice cream? Sent from my cousin who recently visited Cuba, this card shows the colorful windows that are in the city of Trinidad in Cuba. It is fascinating to see the different doors that are in the city as most of us won't pay attention to them. Do you like windows postcards? Located in southern Siberia, Russia, Lake Baikal is the largest freshwater lake by volume in the world, containing roughly 20% of the world's unfrozen surface fresh water. It is also considered as the world's clearest, oldest, and deepest lake. It contains more water than all the North American Great Lakes combined. The lake was decalred a UNESCO-WHS in 1996. Cape Buffalo, also known as the African buffalo, is a large African bovine. It is mostly found in South and East Africa. The adult buffalo's horns are its characteristic feature. It is widely regarded as a very dangerous animal as it kills over 200 people every year. Kaohsiung City is located in southwestern Taiwan facing the Taiwan Strait. From the 17th century, it has grown from a small trading village into the political, economic, shipbuilding and industrial center of southern Taiwan. There are also a few famous Taiwanese foods that are introduced in the top left corner of the card. They are square bread bowl, pigs blood cake, and braised pork rice. I personally like braised pork rice the best out the three foods because it almost always serves with a hard boiled egg and its just super delicious. Sent from a young postcrossing user in Guangzhou, China, this card shows the Canton Tower, also formally known as the Guangzhou TV Astronomical and Sightseeing Tower. It was the tallest in the world from August 2009 to 2010, and it now the third tallest tower in the world. I received this cute rain postcard from a Korean postcard-pal few days again and I thought this really matches the Seattle weather during my Spring Break. It rained so much that I had the same thought about the raindrops :) It was fun though. And I liked the rain.